See who won in 2014! 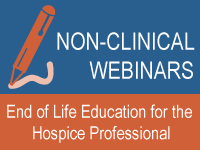 Nominations are judged by a selection committee composed of leaders within the hospice industry. The selection committee is looking for examples and specific details that demonstrate how nominees have exceeded expectations and, by their actions, made those around them better. Nominees must be an FHPCA member (that includes any employee of a Program Member) in good standing at the time of nomination and at the time of the award presentation. Note: All awards are made at the discretion of the FHPCA Awards Selection Committee, which may choose to grant no award or multiple awards in a category. Nominations which do not adhere to the nomination guidelines and submission procedures will be rejected. Submission materials will not be returned. Thanks to the generous support of awards sponsors, each of the 2014 award winners will receive a cash prize in addition to a recognition plaque. Prize amounts vary by award. Winners will also receive recognition in FHPCA’s E-Newsletter and website, and in a press release sent out after the conference. 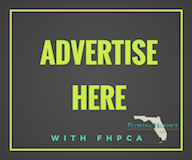 For more information about specific awards or the FHPCA Best Practices program, please contact Jessica Hughes, Director of Strategic Initiatives at Jessica@nullfloridahospices.org or 850.878.2632.